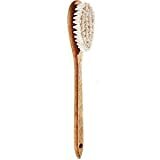 An all-natural brush used dry before your shower to help detoxify the body and stimulate circulation. (#3234)Used dry this 100% all-natural sisal brush helps stimulate circulation and creates a healthy glow.Regular brushing of the skin not only opens pores, increases cell renewal, and boosts surface circulation, it also helps prevent premature aging and eliminate cellulite. 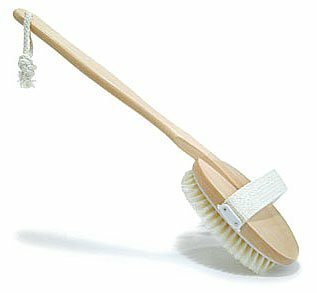 Benefits:Used dry this 100% all-natural sisal brush helps stimulate circulation and creates a healthy glow.Regular brushing of the skin not only opens pores, increases cell renewal, and boosts surface circulation, it also helps prevent premature aging and eliminate cellulite. Soft natural bristles gently exfoliate to deep clean and soften skin. 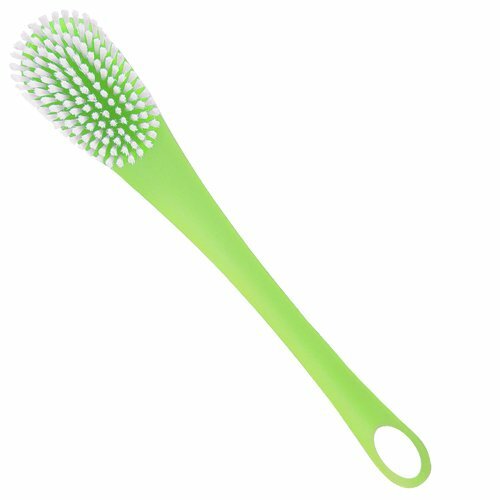 (#3308) The ultimate accessory to any H2O Plus shower and bath gel, this brush revitalizes skin leaving it softer and healthier looking. The brushâs long handle is exceptional for cleaning hard to reach areas. 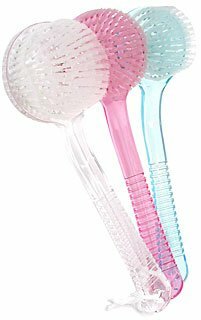 Benefits:The ultimate accessory to any H2O Plus shower and bath gel, this brush revitalizes skin leaving it softer and healthier looking. The brushâs long handle is exceptional for cleaning hard to reach areas. These bristles have just the right combination of softness and strength.However, since I only use this as a back scrub brush, the detachable design is not optimal for me.After a few months, the brush-handle attachment point became compromised (probably from all the exposure to water), and I found that the brush would often detach from the handle as I scrubbed my back.At this point, many more months down the road, the brush no longer stays mounted to the handle at all, so I am looking for a (non-detachable) replacement.Even so, I recommend this product because of it's great bristles, and also because the handle was great while it lasted. 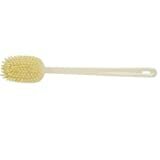 A perfect bath or shower brush for delicate, effective cleansing. (#2334) All-natural bristle brush deep cleanses pores and stimulates skin cell renewal, keeping skin soft and glowing. Curved wood handle designed for hard-to-reach spots. 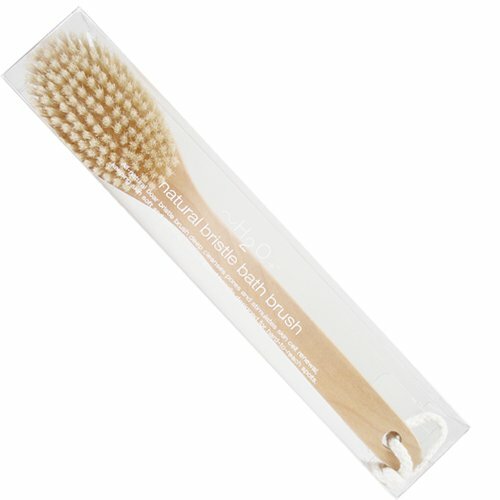 Benefits:All-natural bristle brush deep cleanses pores and stimulates skin cell renewal, keeping skin soft and glowing. Curved wood handle designed for hard-to-reach spots. Improve skin texture while cleansing with this artful body brush made in Italy. (#3621)Soft bristles gently exfoliate and revitalize the skin leaving it softer and healthier looking.The streamline handle is exceptional for daily buffing of hard to reach areas.Itâs the perfect accompaniment to any H2O Plus bath and shower gel. Benefits:Soft bristles gently exfoliate and revitalize the skin leaving it softer and healthier looking.The streamline handle is exceptional for daily buffing of hard to reach areas.Itâs the perfect accompaniment to any H2O Plus bath and shower gel. 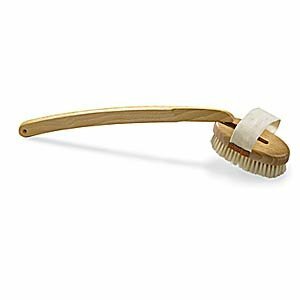 Improve skin texture while cleansing with this artful body brush made in Italy. (#3626)Soft bristles gently exfoliate and revitalize the skin leaving it softer and healthier looking.The streamline handle is exceptional for daily buffing of hard to reach areas.Itâs the perfect accompaniment to any H2O Plus bath and shower gel.